The Family Focus Resource Center is hosting its annual Special Needs Resource Fair on Sunday, Oct. 21. The Family Focus Resource Center at California State University, Northridge will host its annual Special Needs Resource Fair – a daylong celebration focused on connecting families with special needs children to resources that can help them thrive – on Sunday, Oct. 21. The fair is one of the largest of its kind in Southern California and will feature more than 75 exhibitors. Informational exhibits will include recreational therapy, educational resources and legal services. Each exhibit offers a variety of resources for various ages, abilities and needs. The fair will include recreational therapy, educational resources and legal services. Each exhibit offers a variety of resources for various ages, abilities and needs. 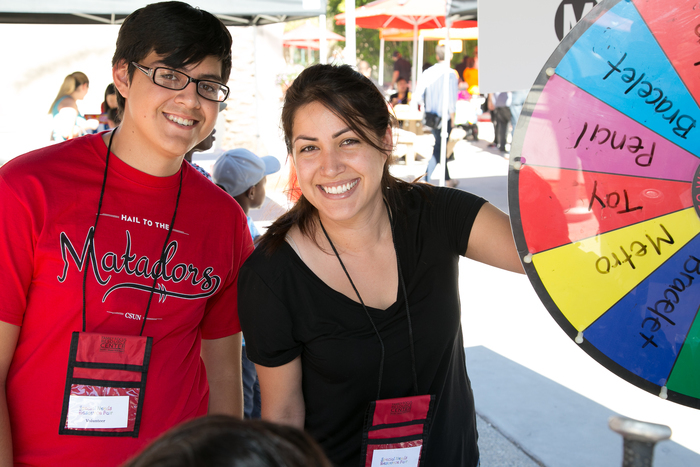 “This is our biggest event of the year, and it’s really an opportunity to showcase all the services available at CSUN for the disability community,” said Victoria Berrey, program manager for the Family Focus Resource Center. The event will take place in the University Student Union and will include food trucks, a photo booth, therapy dogs, a carnival, music and other entertainment. “We want this to be a day where people can really come out and enjoy themselves, meet other families and know that this a place where they can come and just have fun,” said Berrey. The fair’s sponsors include Newman Aaronson Vanaman, a law firm which offers assistance to children with special needs and families whose members are disabled; LA Care HMO, Shield Healthcare and A Change in Trajectory. Actors on the autism spectrum from the Netflix show “Atypical” and ABC drama “The Good Doctor” will also be appearing with acting coach Elaine Hall of the Miracle Project. For more than a decade, CSUN’s Family Focus Resource Center, housed in the Michael D. Eisner College of Eucation, has provided parent-to-parent support, education and information to parents and caregivers of children with special needs and the professionals who serve them. Parking for the University Student Union is located in the G3 parking structure, which can be accessed by entering Prairie Street from Zelzah Avenue. 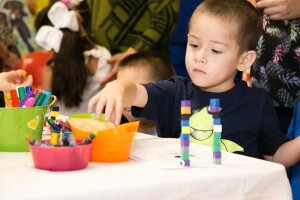 For more information about the Special Needs Resource Fair and for a full list of the exhibitors, call the Family Focus Resource Center at (818) 677-6854 or visit the its website at https://www.csun.edu/family-focus-resource-center.